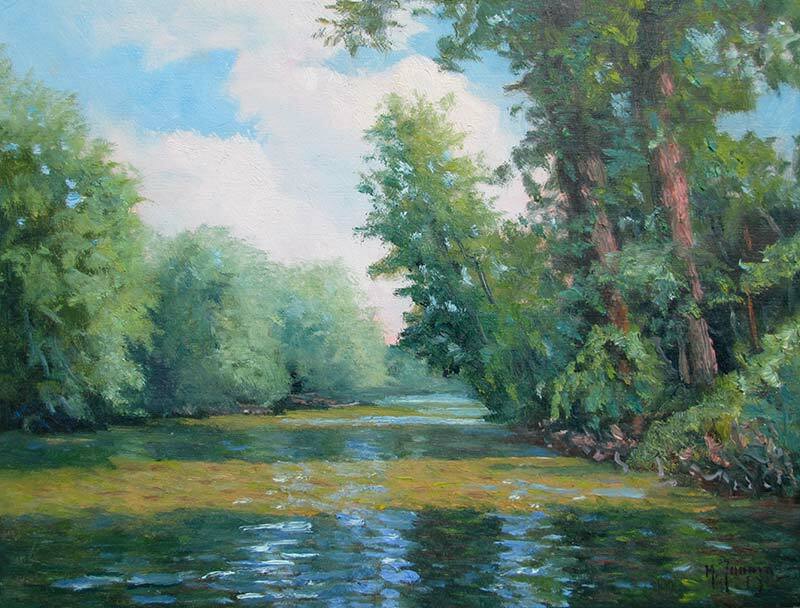 Mark Tougias is a full-time artist who has been painting since childhood. 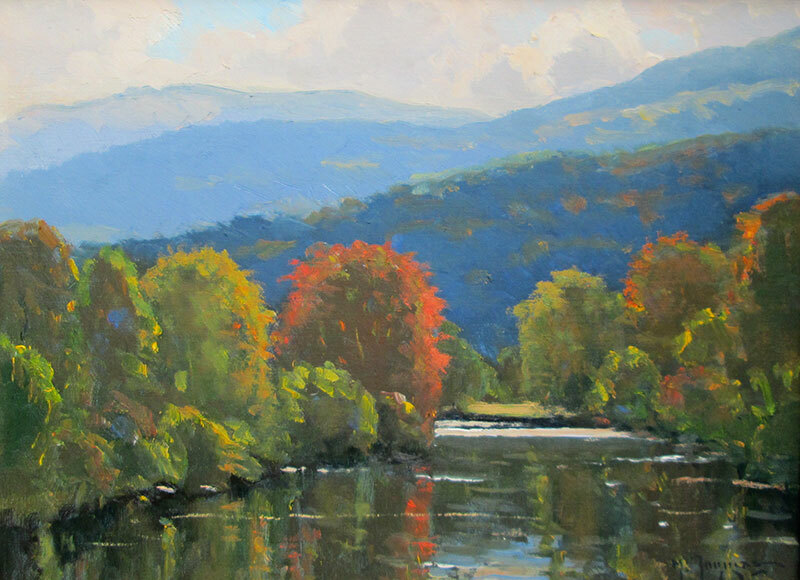 He began exhibiting as a teenager and since has had forty one-man shows, countless group shows, and numerous awards. 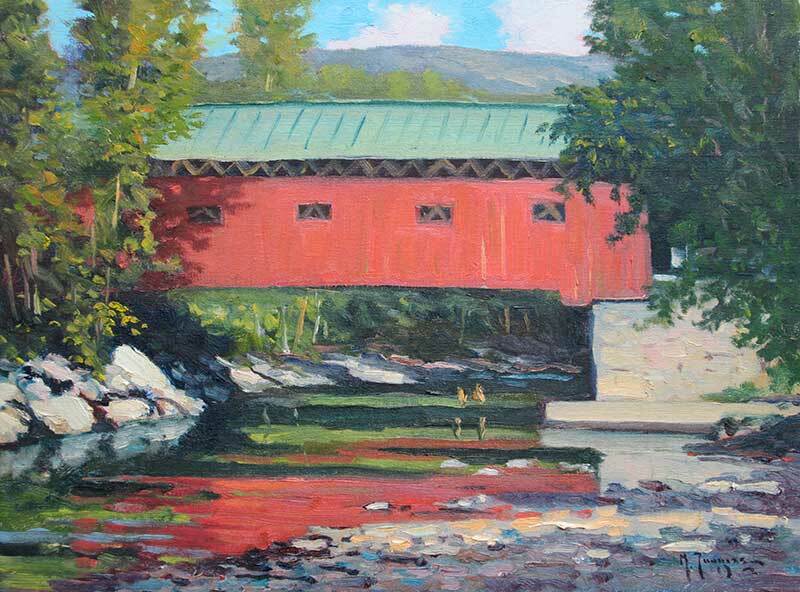 He is a current member of Gloucester’s prestigious North Shore Arts Association, The Southern Vermont Arts Center, a former member of Boston’s Copley Society, and a regular exhibitor at the American Museum of Fly Fishing, and he has been listed in numerous “Who’s Who” publications. Mark’s landscapes emphasize light, tonal qualities, mood and poetry. 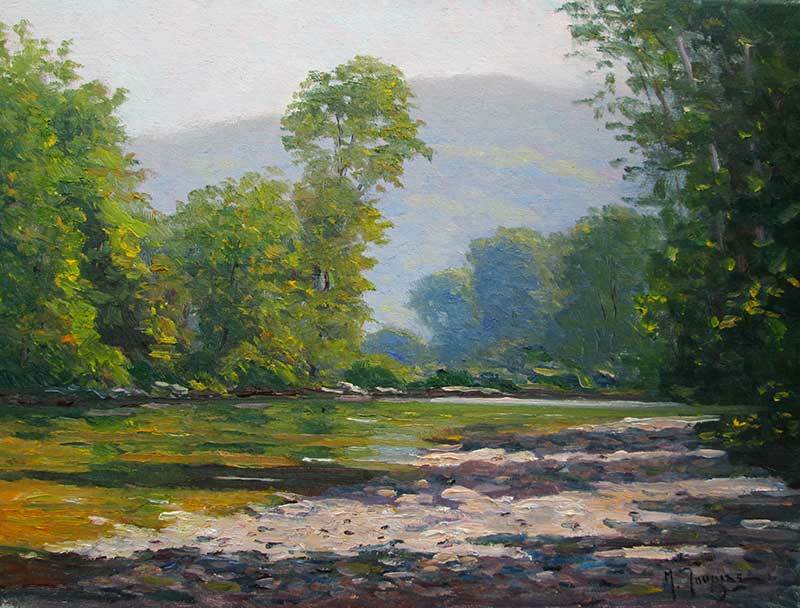 Some of his favorite painters and influences hail from the early 20th century Cape Ann School, Pennsylvania’s New Hope School, and the early California Impressionists. 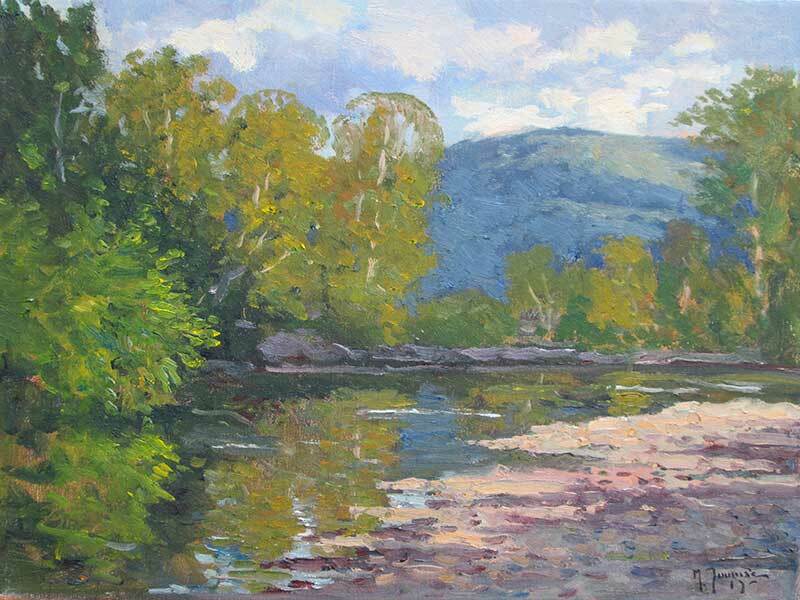 Mark grew up along the Connecticut river in Massachusetts and now lives on the Vermont/New York border along the Battenkill river, where he spends much of his time in season painting, swimming, river-walking and kayaking. 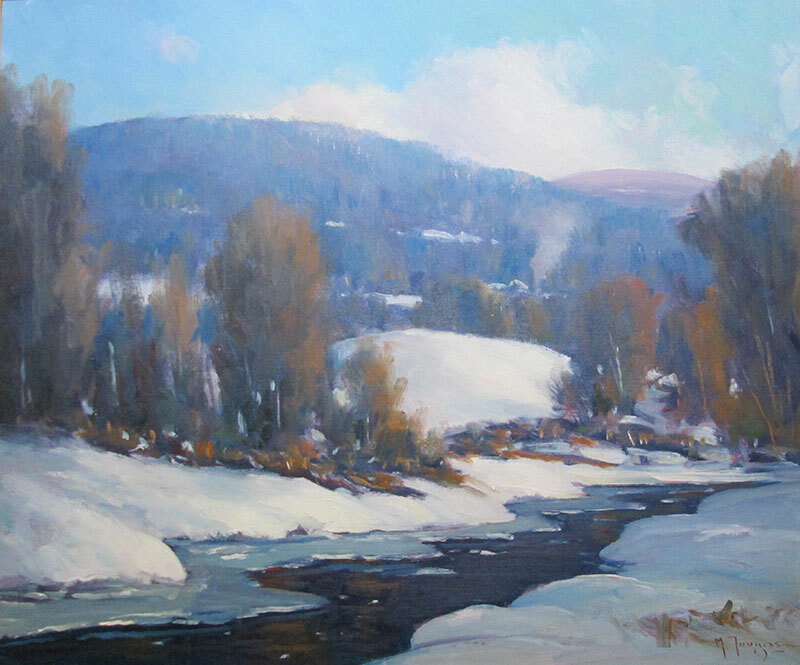 He has traveled extensively throughout Europe, living with local families, painting and visiting major and minor museums. He is the author of Sicily Solo, released in 2013, and the co-author of Autumn Rambles, released in 1998. 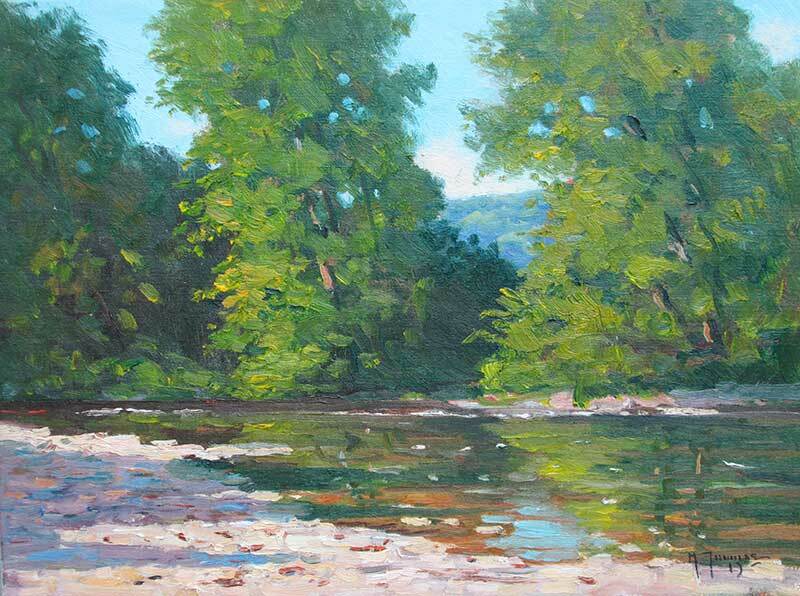 Mark paints plein-air and in the studio, and works only in oils.